This powerful new product adds Math & Logic to the OPC Datacenter Suite. 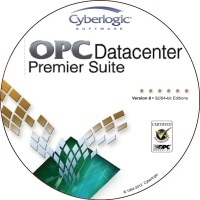 The OPC Datacenter Premier Suite adds full Math & Logic capabilities to the Cyberlogic OPC Server. The server can provide data to both local and remote OPC clients. Data flow can continue with minimal interruption as the server automatically switches between between primary and backup nodes as connections fail and are restored. Custom-written C-Logic™ programs can transform data before a user-configured trigger generates a record to be logged to a database. Program math and logic expressions to convert, control and manipulate data. 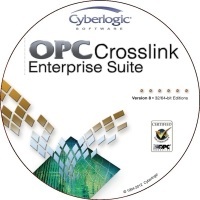 Configure an OPC Data Concentrator. 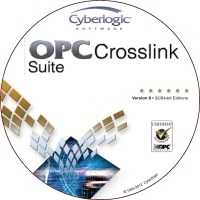 Supports MS SQL Server, MS Access, Oracle, and MySQL databases. Simultaneously log to multiple databases, which may be of different types. Supports local and remote database connections. New records can be generated at a fixed interval, on data change, when triggered by a data item, or a combination of all these methods. Pre-programmed Math & Logic Triggers and Switches. Custom trigger events can be programmed using Math & Logic. Memory and disk cache to store data records if the database connection is slow or unavailable. For purchasing information click here. The OPC Foundation website recommends that "OPC Users should look for OPC Client and OPC Server products that have passed ‘Compliance Certification’ Testing and display the ‘Certified’ logo".